Music Party! 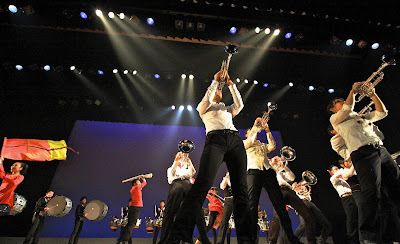 is a very small fun event to deliver the excitement of music and dance, based on the marching band activities in Japan. The two independent groups started this event in 2000 as a joint concert. Now many bands have gathered together to discuss and aim at establishing a new style curriculum through the events. 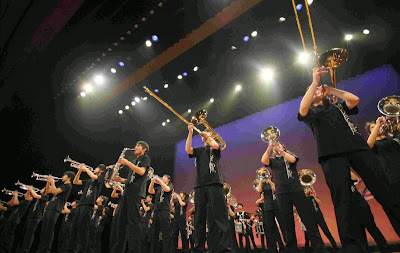 The bands directors are free from the limitation of classification and area, ranging from elementary school level to independent levels from all over Japan. The environment of marching bands in Japan had developed centering on competition, which is an invitational tournament. The players get a chance of growth through the competitive situation. Similarly, the opportunities to cooperate and play together beyond the frame of a band and generation gap are beneficial with enthusiasm. It is necessary to have both well in balance. On the stage, in the gym, or at the shopping mall, any place will do. Many players and bands assemble together and perform together. The participants bring their show and act of combining one show with another. The joint performance is so fun! Music Party! also gives young band leader, staff and instructor a chance to get to know each other and work together. Events are very flexible, young band leader discuss and plan the content through the internet. 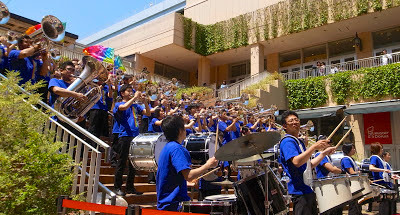 In 2015, The Marching in Okayama,(MIO) which is one of the best regional marching band event in Japan, will provide the segment for the local players, MIO and will adopt the concept of Music Party!. We welcome various innovative approaches and would like to invite further ideas. “Music Party! 2018” were progressively held in various places.